Every marketing effort has a goal. Whether it’s a Facebook post or an email drip campaign, you want your audience to take action. But many organizations miss that opportunity because they fail to do one very important thing: include a call to action within their copy. There’s an art to creating a call to action that actually converts. It starts with setting a goal, then finding a way build in a statement that helps you reach that goal. Yes, the content itself is important, but you also need to follow through with something that encourages clicks. Here are a few tips to help you create the perfect goal to action. 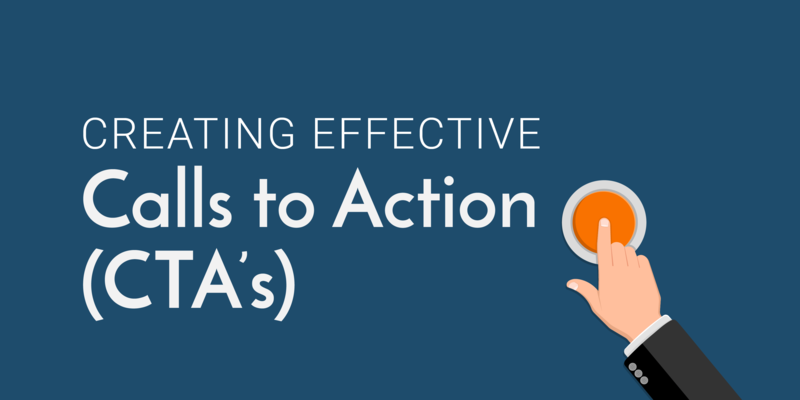 Before you can create a call to action, you’ll need to know what action that is. Do you want donors to sign up for your newsletter, donate money, or volunteer to help out? Once you’ve identified that, you’ll then need to figure out a way to get recipients to take the desired action. Buyer personas can be a great way to put a name and face to the people receiving your messages. Understanding both your target audience and goal is only the first step. See things from the perspective of the person reading your marketing messages. What will they be doing when they read it? If the consumer is on a mobile device, for instance, it may not be reasonable to request a purchase requiring a credit card number. Create calls to action that match what the reader is likely to be doing when reading your message. Curiosity is a proven technique when it comes to creating effective calls to action. If you can generate curiosity, your readers may click over just to learn more. You can also get results by appealing to the “fear of missing out,” or FOMO, that’s so prevalent in today’s social media-driven society. Give the impression that there’s either a deadline or limited availability and you’ll attract a certain number of clicks. If you’re drawing attendees to a fundraising event, entice your audience by highlighting how fun the event will be, making it sound as though all the cool kids will be there. Once you’ve launched your campaign, monitor results to see how well your efforts work with your own audience. You can use techniques like A/B testing to see which of two calls to action works better. One way to do this is through the use of separate landing pages, each speaking to a separate CTA you’ve put out there. You can then see which one gets the most results and tailor future campaigns accordingly. Over time, you can experiment with various calls to action and find those that work best for your own audience. As you see more responses roll in, you’ll know right away that the CTA you’ve chosen is the right one. However, it’s also important to ensure you’re regularly creating interesting content that keeps your audience engaged long enough for them to get to the end, where they’ll see your CTA and click.